Fizz Web Design Chelmsford: we create modern, eye-catching, bespoke websites at great prices - large & small businesses catered for! We are a creative Chelmsford web design agency covering Essex & the surrounding areas. We design & develop beautiful websites that are as functional as they are good looking. With over 20 years experience, we can deliver a carefully created website designed to suit your specific needs - we build sites ranging from a simple static 3-pager, to fully editable e-commerce/CMS sites & WordPress. If you're local to the Essex area, we will be happy to visit you to talk about your web development project. We cater for sole traders & small businesses too - get in touch! A website should not only look great - it must also work well. Working with the client's business objective is key; we want to understand your company & what you want to achieve, so that we can create & develop a website that you are 100% happy with from beginning to end. Our aim is to increase your online presence & encourage customers to interact with you by giving you a brilliantly functioning website. I love it!! What do we need to do next..?! We understand that getting a website up & running can sometimes be a bit of a minefield. So if you're not sure about anything, we are quite happy to give you some free advice to help you make an informed decision. Please take a look at our competitive pricing. 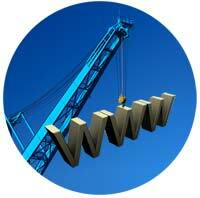 We build websites for everyone - from individuals & sole traders to small business users & established companies. You don't have to be based in Writtle, Chelmsford or Essex to access our services either - we can cater for you wherever you are based (reasonable travel distances from Chelmsford apply). Web Design Chelmsford - 01245 422 221. Or simply fill out our contact form & we will get right back to you.